Oprah's audience has just arrived in Australia! Oprah’s audience has just arrived in Australia! Things are really hotting up with Oprah’s visit – the audience has just arrived in Australia! This momentous event has begun, with 302 audience members from thirty-eight US states, as well as Canada and Jamaica, touching down in Sydney today in a Qantas Boeing 747. 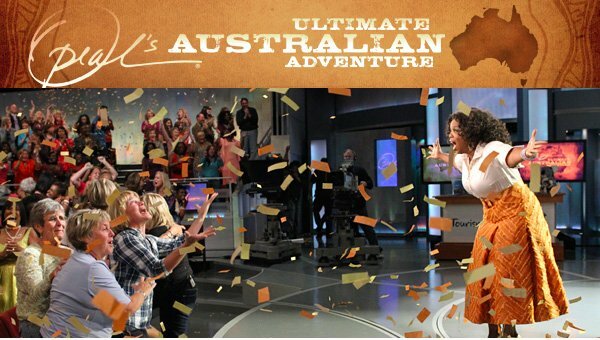 The lucky people must have had the biggest surprise of their lives when told during Oprah’s first episode of her twenty-fifth season that they would be flown to Australia in a matter of weeks. The group will take various excursions around Australia, covering all eight states and territories before congregating once more in Sydney on 14 December for two tapings of The Oprah Winfrey Show, which will be aired in January 2011. This is the final season for the show which is unprecedented in its number one ranking for twenty-three consecutive seasons. We are wondering whether any Babyologists were lucky enough to get tickets in the lottery or if any of your friends or family are going? Did you at least try to get tickets? Tell us your stories! Babyology sends a hearty welcome to Oprah and her audience – we can’t wait to follow the progress of Oprah’s Ultimate Australian Adventure! I still cry watching Oprah’s huge announcement back in September and I’m not a teary person at all. That’s the power of Oprah!